Helping the body to heal itself is the focus of manual therapy and massage is an important part of the picture. 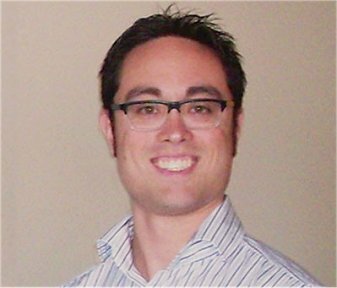 University researchers continue to produce evidence showing the effectiveness of manual therapy for conditions such as anxiety, anorexia nervosa, back pain, depression, headaches and osteoarthritis. While massage is known to ease muscle tension and pain, researchers at McMaster University released a study earlier this year showing the biological processes taking place in muscles during this type of manual therapy. Biochemical sensors tell muscle cells to reduce inflammation and muscles are prompted to create more mitochondria (elements within a cell that produce energy needed to help the body heal). The McMaster scientists say they are the first to take a manual therapy like massage and test the effect using a muscle biopsy to show massage reduces inflammation, which is an underlying factor in many chronic diseases. 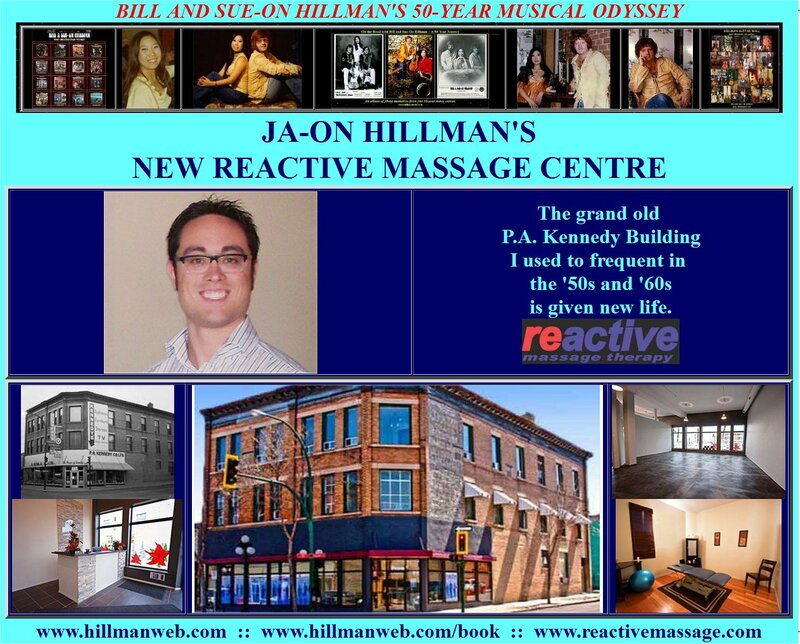 Registered massage therapist Ja-On Hillman’s appreciation of the benefits of manual therapy led to the decision to expand the services he offers at Reactive Massage Therapy to include osteopathy. He recently completed the second year of a six-year program that will lead to a B.Sc. (Hons.) Osteopathy degree from the British College of Osteopathic Medicine (BCOM). Courses are offered through the Canadian College of Osteopathy which is affiliated with BCOM. Osteopathy, according to BCOM is based on the principle that the good health and harmonious interrelation of skeleton, muscles, ligaments and connective tissues are crucial to an individual’s well-being. Moving from Shanghai, China’s largest city, with a population of over 23 million, to Brandon is downsizing in the extreme. 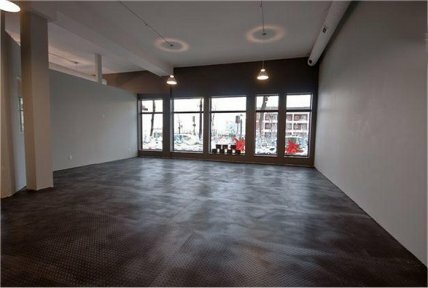 Couple that with going from working at one of Shanghai’s largest hospitals (1500 beds) to opening a one-person Chinese Medicine practice in a city where most residents weren’t familiar with this form of natural healing. 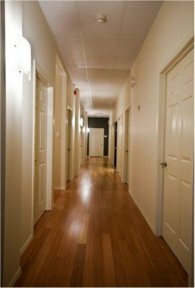 However, since Dr. Li Lin began practicing here in 1998 many people have come to appreciate what Chinese Medicine offers. “In Chinese Medicine we look at the body as a network,” Li says. “Everything needs to be in balance for wellness.” All aspects of one’s lifestyle are considered to have an effect on overall health; for optimum wellness emotional, mental and physical conditions need to be in balance. 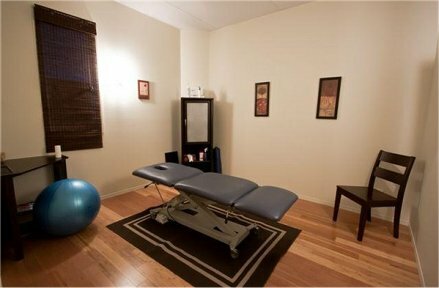 Acupuncture is one of the therapies Li relies on to promote wellness.  Although it is among the oldest healing practices in the world, acupuncture was not well known in North America until the early 1970s. Since then scientists here have been trying to pinpoint the biological functions that contribute to the therapeutic effects of inserting needles at specific points on the body. 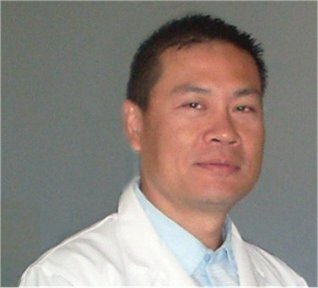 This research adds to other studies indicating that acupuncture stimulates the central nervous system to release pain-relieving endorphins. These biochemicals also produce a sense of well-being. Renaissance Brandon is proud to announce a new mixed-use project has been re-developed in the Downtown HUB. 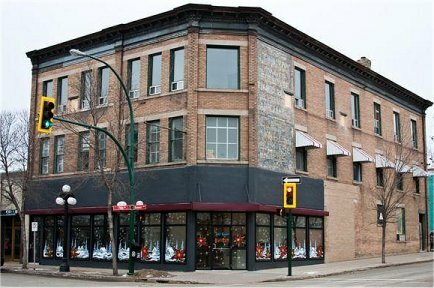 Re-developing mixed-use projects to fill empty storefronts and provide additional housing units in the downtown core is one of the primary organizing themes of the Downtown HUB Vision Plan. 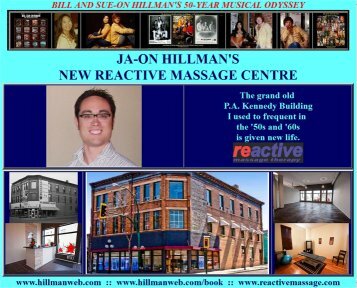 Reactive Massage Therapy utilizes the philosophies of osteopathy and orthopaedic massage therapy to promote healthy lifestyles and is now open for business in their new location.